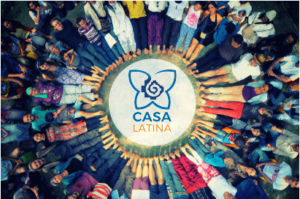 CASA Latina is the Council of Sustainable Settlements of Latin America, which coordinates and strengthens regional and national networks that promote, educate, investigate and disseminate sustainable lifestyles. 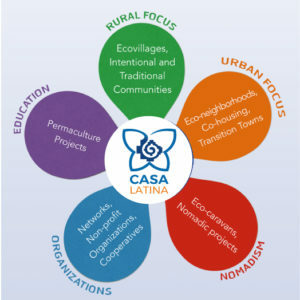 The CASA formation process begins in the Call of the Mountain – Ibero-American meeting of ecovillages Colombia, in January 2012, which was joined by ecovillagers, representatives of sustainable settlements and promoters of rural and urban initiatives, which made us understand that It was time to recognize the articulation of sustainable settlements. 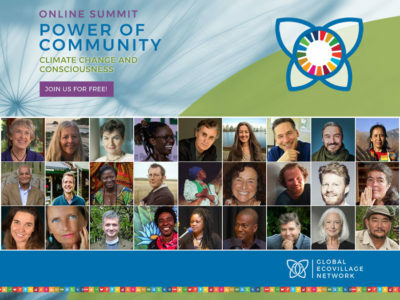 CASA Latina seeks to create and visualize living examples that can inspire the change towards life patterns that rescue and regenerate the ecological, economic and social systems, which we consider vital to guarantee the permanence of the human species on Earth. * We define sustainable settlements as those that practice and cultivate creative habits of care between human beings and the diversity of life forms and entities of nature.